We have been providing creative solutions to landscape questions both simple and complex, with elegant, timeless design in Northeast Ohio since 1948. We continue a tradition in extraordinary landscapes established by our founder, Stanley M. Lucas. He taught us to pay great attention to detail and that the job wasn’t complete until our clients were totally overjoyed with their project and we had exceeded their expectations. We start with an understanding of our client’s needs and desires and develop a comprehensive plan to help them arrive at the project of their dreams. The design may include patios and walls, a custom fireplace or fire pit, what about a pavilion or a pergola with a complete outdoor kitchen. We also build custom fences and don’t forget lighting and complete landscaping with trees we grow in our nursery. Contact us for an elegant, timeless environment. Since 1952, Canton Aluminum has been Northeast Ohio’s best choice for Vinyl Siding, Sunrooms, Replacement Windows, Patio Coverings, Awnings and outside home repairs. More than 70 percent of our new business comes from referrals from our customers. That’s a number that we are proud of here, because it means we have satisfied clients who are willing to spread the word about our dedication to a job well done. 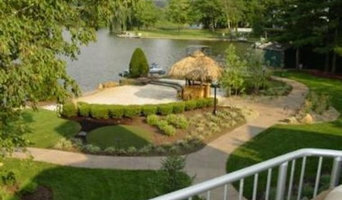 All of our work is done in-house, from estimate to design to installation. We take pride in making your home better than it was before. Not only do we take pride in ourselves but we have also been an accredited member of the Better Business Bureau (BBB) since 1961, with a current A+ rating. In addition, we are members of the Building Industry Association (BIA) and the North Canton, Canton and Jackson Chamber of Commerce. 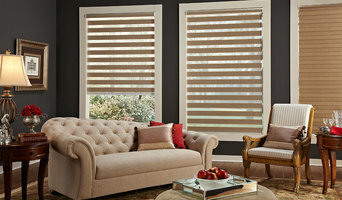 Rivin's Draperies carries a wide selection of window treatments, including Hunter Douglas sheers and shadings, honeycomb shades, Roman shades, roller shades, screen shades, shutters and blinds. 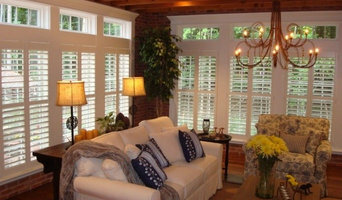 You'll find more than great window coverings with us. Whether you are shopping for a single window treatment, redecorating your entire house, or seeking the solution to a complex design challenge, you'll find great people who have the knowledge and expertise to help you put it all together. Since we're locally owned and operated, we take our long-term commitment to the community seriously, and we are proud of the professional products and services we provide. We are here now, and we'll be here in the future when you need us again. Contact us today for an appointment! We are a reputable family business of 26 years. 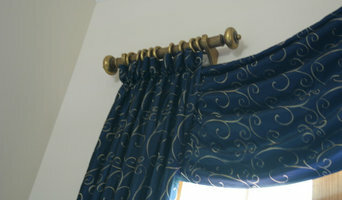 We specialize in custom window treatments. We offer free in home consultations and measurements while providing quality products with professional installation and backed with a guarantee. 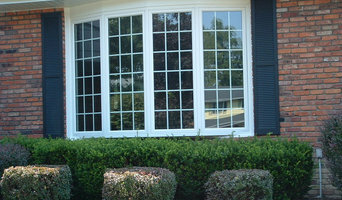 In business for over 20 years, Everhart Glass is a community oriented company, providing Residential/Commercial glass replacements, mirrors, commercial door, and storefront service and replacement of hardware and glass parts.